Looking for the perfect cruise? We’ve got them right here! 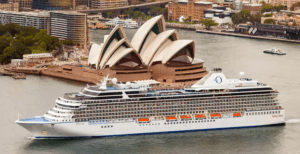 We searched for some of the luxurious and multi-awarded cruise lines that boast of elegant accommodations, excellent service, and exquisite offers that place them above the rest. Some of them are out on the sea for weeks at a time, while others can be done over the weekend. All of these cruises offer top of the line experience and destinations, so go ahead and check them out! [h2 display=”Crystal Cruises” menu=”Crystal Cruises”] Crystal Cruises is known not only for their eye-catching designs, but more so for their low passenger-to-crew ratio, meaning you will get more assistance from their staff as they do not fill their cruises to the brim with customers. Their Crystal Serenity line increased the guest to space ratio to 70.3, with 2 new suites and 36 new penthouses. 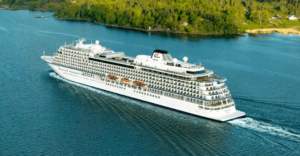 World cruise voyages last from 11 to 85 days, with Crystal Symphony and Crystal Serenity combining 14 unique segments for a customizable experience. 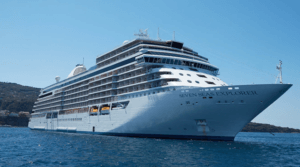 [h2 display=”Regent Seven Seas Explorer” menu=”Regent Seven Seas Explorer”] Despite launching only in 2016, Regent Seven Seas Explorer has already gained international attention, thanks to their claim as the “most luxurious ship ever built”. And they aren’t joking when they made this bold claim, as their cruise includes: unlimited shore excursions, a pre-cruise hotel package, unlimited beverages, open bars and lounges, specialty restaurants, unlimited wifi, 1 to 1.5 guest to staff ratio, 375 suites, world famous spa fitness center and sauna rooms, and more than 450 destination all around the world. What more can you ask for? [h2 display=”Seaborne Cruise Line” menu=”Seaborne Cruise Line”] Seaborne Cruise Line has destinations all over the globe, including Alaska, Antarctica and Patagonia, Arabia, Africa, and India; Asia, Australia, Caribbean, Mediterranean, and South America, with extended explorations for those looking for a more intimate experience for a specific location. They boast of a private club experience, intuitive and personalized services, and all ocean front suites with complimentary spirits and wine, plus the in-house bar filled with your choice of drinks. Their ships offer comfort and sophistication with a spacious suites per guest for ultra-luxury cruising. [h2 display=”Oceania Cruises” menu=”Oceania Cruises”] Despite offering only 6 ships under their name, with some of them having a smaller capacity than others, Oceania Cruises still manage to provide an intimate and luxurious experience with low guest to staff ratio (1 to 1.71 at most), gourmet cuisine curated by no other than the world-renowned Master Chef Jacques Pépin, immersive culinary tours in exciting destinations, overnight stays and extended immersion, and the famous Canyon Ranch SpaClub®. They may not offer unlimited booze but they do offer bottomless sodas, water, coffee, tea, and juices, plus free shuttle service from the ship to city centers. 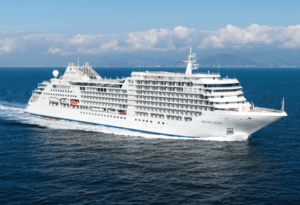 [h2 display=”Viking Ocean Cruises” menu=”Viking Ocean Cruises”] Viking Ocean Cruises was awarded Travel and Leisure’s Top Ocean Cruise Line, for the ship size category of 600 to 2,199 guest capacity. Their smaller ships give access to ports that cannot be normally reached by larger ones, so that you can have an up close and personal immersion with the local culture and people. 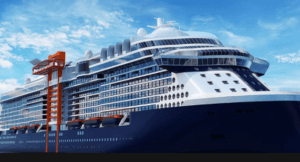 They have several cruises all across the world, as well as Grand Voyages where you can visit multiple countries and join guided tours for each destination. 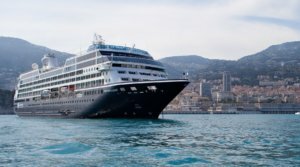 [h2 display=”Azamara Club Cruises” menu=”Azamara Club Cruises”] Azamara ships have lower passenger capacities compared to other cruise lines, at only 690 guests, which enables their crew to provide quality customer service, especially at a low passenger-to-crew ratio of 1:2. Their destinations include Alaska, Asia, Australia and New Zealand, Caribbean, Cuba, Mediterranean, Northern and Western Europe, and Central, South, and North America. Their shore excursion rates are not yet included in cruise fares, but it gives way for a more customized experience as you can choose which tours you’ll participate in. [h2 display=”Silver Sea” menu=”Silver Sea”] Silver Muse, which is Silver Sea’s latest offer for ultra-luxury travel, can accommodate up to 596 guests in their all suite rooms. Voyages are typically short-term with this ship, ranging from 6 to 25 days only, with gourmet meals and opera and ballet shows on some lines. You also get your very own personal butler who will take care of all your needs while inside the ship- from letting you choose your preferred type of pillows, to refilling the mini bar with your favorite booze. Your dining experience will also differ as Silver Muse houses 8 restaurants, each with a different theme and specialty dishes, where you can dine any night, instead of having a single dining room and meal courses for all. Silver Sea also has traditional cruise lines under their belt, but so far, Silver Muse seems to have the most luxurious offers. [h2 display=”Sea Dream Yacht Club” menu=”Sea Dream Yacht Club”] With only 2 ships with a capacity of 112 passengers each, Sea Dream Yacht Club is a lot smaller than a lot of other cruises on this list, but don’t be fooled by its size. It was awarded the Best Small Luxury Cruise Ship of 2015 by ForbesLife, as the cruise feels like your own private yacht with a crew of 95 people all highly trained and ready to serve each and every one of the passengers. 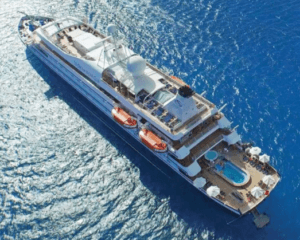 It boasts of a yachting experience not only relative to the vessel’s size, but also of its build, service, accommodations, cuisine, and relaxation areas. Rather than being a communal tour with a hundred other strangers, yachting on the Sea Dream will feel more intimate and personal. [h2 display=”Uniworld River Cruise” menu=”Uniworld River Cruise”] Dubbed as Uniworld’s first Super Ship, the S.S. Antoinette was designed with luxury in mind, with fine Brazilian marble walls and floors, Venetian glass mirrors, a 10-foot blue Strauss Baccarat chandelier decorated with sapphires, a full service bar, and a cinema- all inside a vessel which holds 154 passengers. Currently, it only has 2 cruises- Basel to Amsterdam, and Basel to Cologne, both via the Rhine River and spanning 8 days. The former also includes welcome and farewell dinners, and unlimited beverages, in addition to a visit to 3 UNESCO World Heritage sites, and 6 days of excursion. [h2 display=”Ponant” menu=” Ponant “] If you want rest and relaxation to be the focus of your cruise, then you should check out Ponant. Five of their vessels have a well-being center where you can avail of services like massages, facial sessions, aromatherapy baths, even a hair salon to keep your locks at their best look while you travel. Some have libraries and board games to help pass time onboard, theatres for live shows or film screenings, and lounges with different themes for socialization. They also have an in-house shopping store where you can find souvenirs, apparel, jewelry, and other accessories. [h2 display=”Sanctuary Ananda” menu=”Sanctuary Ananda”] Instead of going to crowded cities and tourist spots, why not bask in the beauty of nature that the rest of the population has yet to discover? Sanctuary Ananda takes the adventure to the mysterious rivers of Myanmar, where you can check out the temples, pagodas, temples, monasteries, and palaces along the Irrawaddy River. While you have a choice of which route to take- Mandalay to Bagan, Bhamo or Yangon, both will pass through some rarely visited places like jungles, abandoned villages, and ancient towns. As for your accommodation, Sanctuary Ananda has 21 suites with contemporary Burmese design, with a variety of suite sizes for your comfort. [h2 display=”Celebrity Cruises” menu=”Celebrity Cruises”] Celebrity Cruises takes pride in offering a cruise experience that is luxurious and upscale on all aspects- from the ship’s build, design, landscaping, up to the littlest details on their dishes, which, by the way, are crafted by Michelin-starred chef Cornelius Gallagher, and are locally sourced from the regions visited. 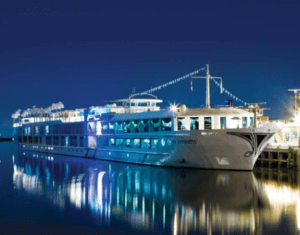 If you are quite busy, you can avail of their quick getaway cruises that span from 2 to 4 nights only; or if you have more time to spare, they also offer a 15 night cruise exploring the best of India and Sri Lanka. They are also one of the few cruises that are equipped with medical equipment for guests with special needs.